Wooden dining chair with a contemporary design and solid wood frame in a choice of 17 finishes. Available with a wood finish or upholstered seat and back. 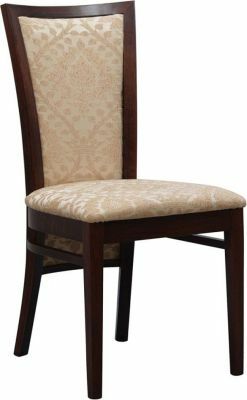 Upmarket design dining chair with a pol]ished wood finish and upholstered extra high back and seat. Suitable for use in a classic restaurant area with lots of space.